By now you may have noticed that I have a recurring Paris mindset. The city often haunts my thoughts and my dreams. I’ll be mid-pose during yoga when all of I sudden in the middle of clear minded moment as I settle into a position I will flashback to a favorite memory such as walking down a rainy street in Paris last fall or the all-encompassing speechless wonder I felt the first time I arrived in Paris. I feel incredibly lucky to have been to that beautiful city three times in the last five years, along with living there for extended periods of time in the last three years. The husband always asks me how I’m not sick of it yet, but the city holds such allure to me. Whether I am walking down an old street that has seen the likes of Hemingway graces its way or people-watching from one of my favorite gardens, I am always in a zen-like state of bliss and joy every day I am in Paris. 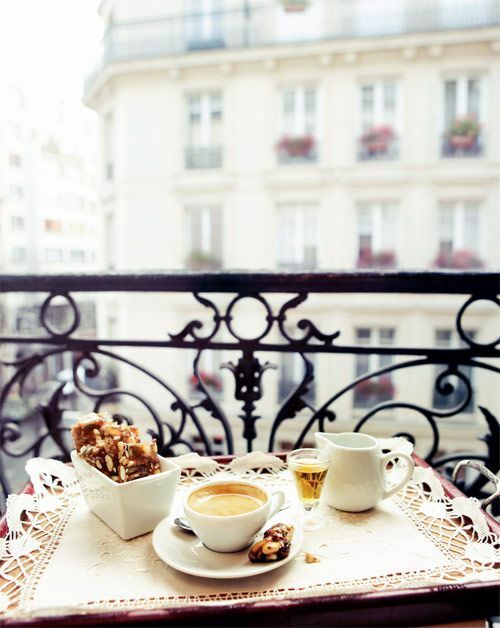 So while many of my Wednesday Wishes are materialistic, this one is mainly focused on that happy vibe as I nibble on a croissant over a languid breakfast or sit along the edge of the Seine river contemplating life itself. I have had many upsetting events happen over the last few months, but the pleasure I feel when I think back to those perfect moments in Paris, along with the promise of future trips back have always helps me to stay positive and focused on the now. I often reassure myself that while nothing stays the same, this gorgeous city will be there to welcome me back again. Paris will always be the city of my dreams and realities.